Hello Pion Design fans! 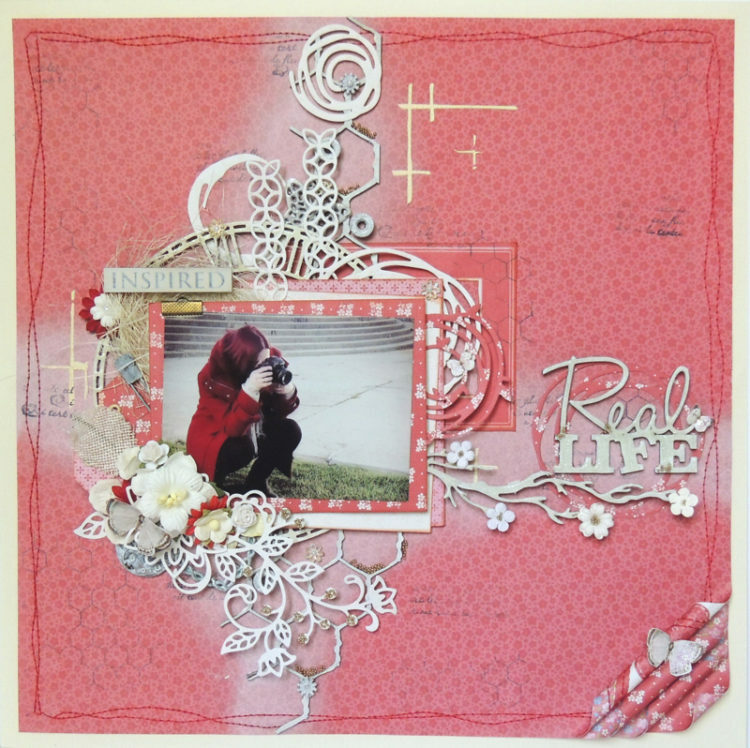 Here it is Antonia today as Guest Designer to show you a new layout made with these wonderful papers. 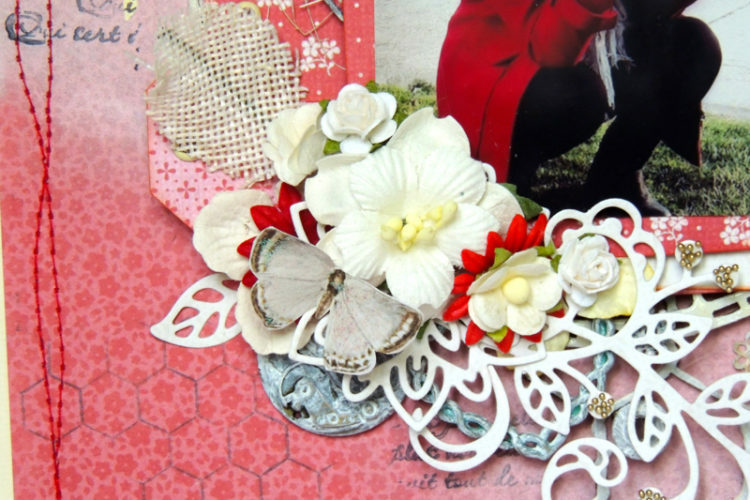 Creating scrapbooks is the best way to making memories for the future. That’s why most times I use old photos to create layouts or photos with great remembering for me. Usually, my layouts start with that selected photo and, from that starting point, I look for the structure, papers and complements. Some months ago, my friend’s Teresa invited me to a mini shooting session, and our common friend Demae made this photo of her shooting my doggy. I loved this photo from the very first moment I saw it. 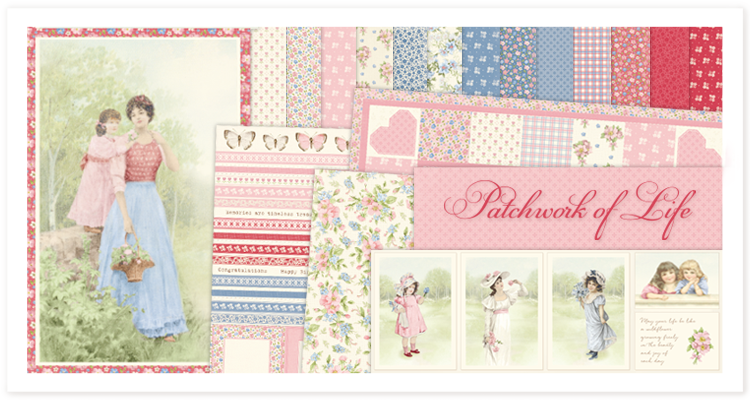 As you may have guessed, I chose Patchwork of Life to work with. Pion Designs works really well on the paper creations, and they always include a Back side a bit more plain in color and with less details, which are ideal for creating layouts like this one. And as I was willing to create a stunning background, I selected this red paper full of flowers. It was softened with white ink, stencils and some stamps in black. As base, I took a cream color textured card-stock. Chipboards are from The Dusty Attic. The clock and the wire are white embossed, but the title and branch are painted with white acrylic paint and a generous layer of clear crackle varnish from the same company. I love the look of both of them! Dies are made with the same Pion papers and dies from Stampin ‘Up. I was willing to use them. I also added some metallic elements here and there, which were previously painted in white with gesso. Micro spheres from 13@rts in vintage gold were great to give some texture. I love to create lots of layers behind the photograph, and introduce among them small details, as tags, sisal, or flowers. All flowers are from I am Roses. On the right down side of the layout, some layers of paper were rolled. The paper was also machine sewn in red. Thanks a lot Maryann!! I will continue sharing some layout, I’m glad you like them!